Exit Hwy 17 Bypass or Hwy 31 at the Hwy 501/Conway exit. Follow Hwy 501 for approximately 8 miles from 17 Bypass or 6 miles from Hwy 31. At the Intersection of Hwy 501 and Singleton Ridge Road turn left onto Singleton Ridge Road. You will quickly reach Conway Medical Center on your left. Follow Hwy 501 through Conway going towards Myrtle Beach. You will pass Coastal Carolina University and Horry Georgetown Technical College on your right. At the intersection of Hwy 501 and Singleton Ridge Road turn right onto Singleton Ridge Road.  You will quickly reach Conway Medical Center on your left. Turn left at the first entrance onto the Conway Medical Center campus from Singleton Ridge Road. This is Cypress Circle. Follow Cypress Circle around the left side of the hospital. The Emergency Department entrance will be on your right across the street from the Rehabilitations Services Building. The parking lot will be located on the left side of Cypress Circle. Turn left at the first entrance onto the Conway Medical Center campus from Singleton Ridge Road. This is Cypress Circle. Follow Cypress Circle around the left side of the hospital. The Patient Services and The BirthPlace entrance will be on your right after you pass the Emergency Department entrance. The parking lot will be located on the left side of Cypress Circle. Medical Arts Building – located adjacent to Conway Medical Center (on the corner of Myrtle Trace Drive and Cypress Circle) Turn left at the traffic light located immediately past Conway Medical Center at the intersection of Singleton Ridge Road and Myrtle Trace Drive. Turn left onto Cypress Circle. The Medical Arts Building entrance will be on your left across the street from Kingston Nursing Center. The parking lot is located in front of the building with additional parking across the street.